Documents coming from that period of the history of Ancient Egypt show a belief on Aton as the creator of everything. The hymns pray to him and to life, but there is barely mention to the death. But what do those ancient Egyptian scenes say about the funerary ritual of the Amarna period? It seems that the Aton theology did not solve the matter of the afterlife. Thanks to the archaeology we know that the traditional religion did not disappear completely. Many small ancient Egyptian artefacts were found during the excavations of the houses in Tell el-Amarna, and they show that the people were still linked to the ancient gods and practices. Mourning the death of Meketaton. Image: Amarna Project. Was that so also with the funerary ceremony? 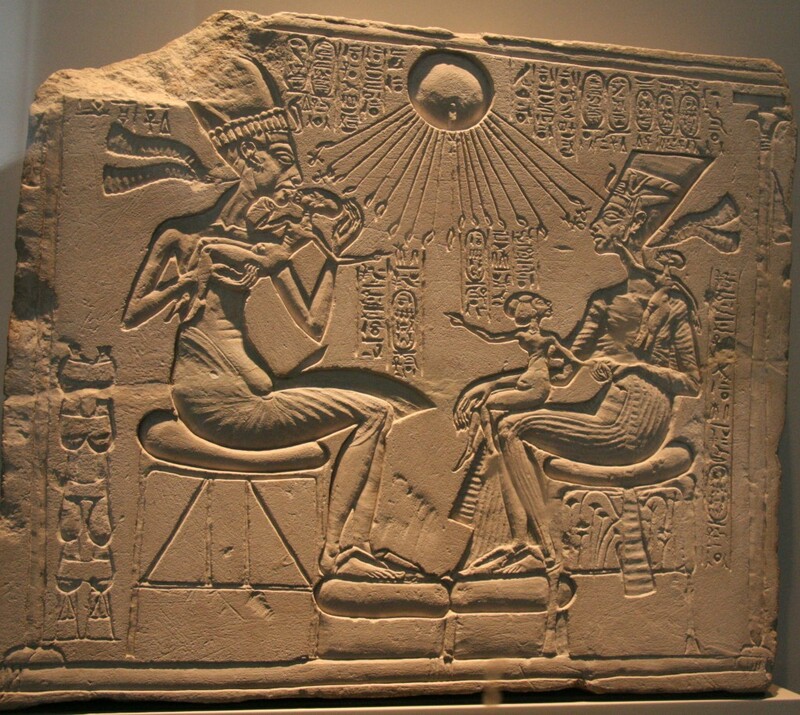 Existed also during the reign of Akhenaten the mourning ritual for reviving the dead? 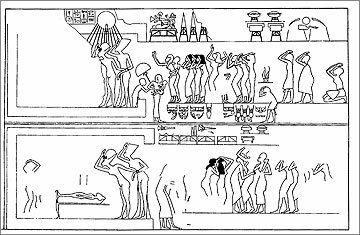 References to the ancient Egyptian funerary and mourning ritual during the Amarna period are just a few…Texts are not helpful, archaeology does not show anything about it…but iconography offers two very useful sources: The royal tomb and the royal sarcophagus. We will write in later posts about the information we can get from these two documents.